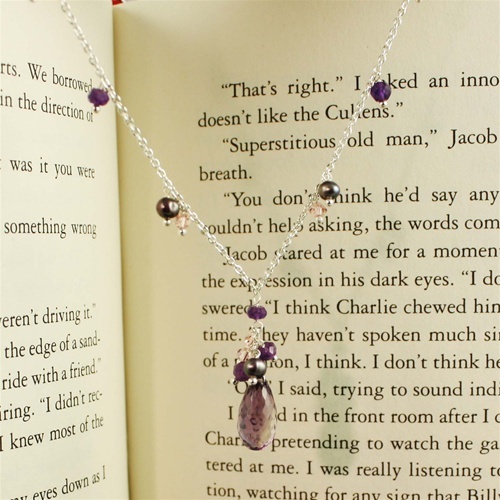 The pendant on this handmade sterling silver necklace is a natural gemstone of amethyst in a teardrop shape. 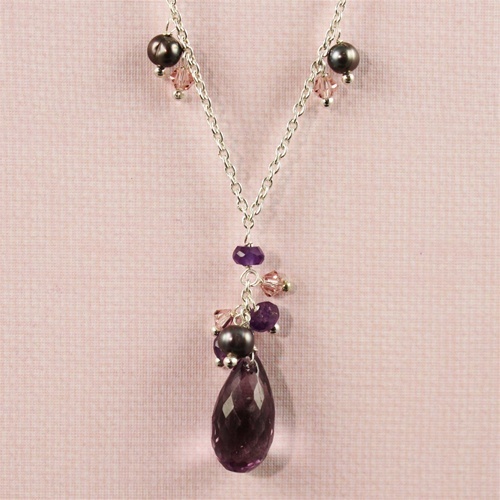 It’s attached to a handcrafted, attractive chain that’s further adorned with multi-colored gems in shades of pink, purple and gray. 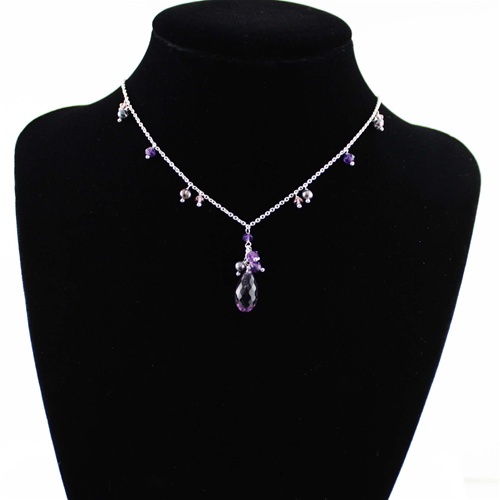 To sad to its natural beauty, additional stones daintily drop just above the featured amethyst. Approx. 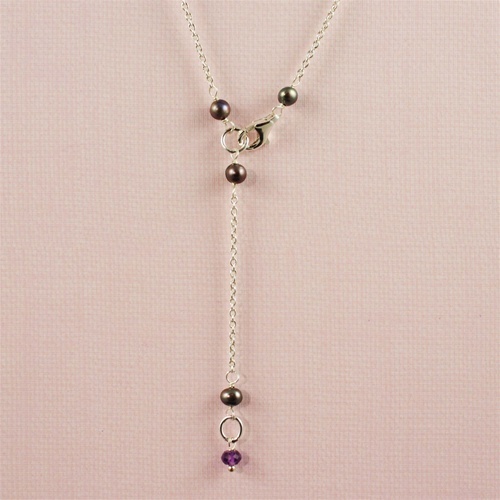 pendant measurement: 1” x 1/4"